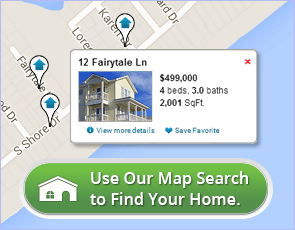 Informative content related to outer banks real estate, events and local information. The Mustang Music Festival started in Mike Dianna’s Grill Room in Corolla, NC in 2010 as an event to benefit one of the Outer Banks’ beloved assets, the Corolla Wild Horses. In 4 years, this fall event has grown large enough that it will now be held on the expansive, historic grounds of The Whalehead in Corolla. 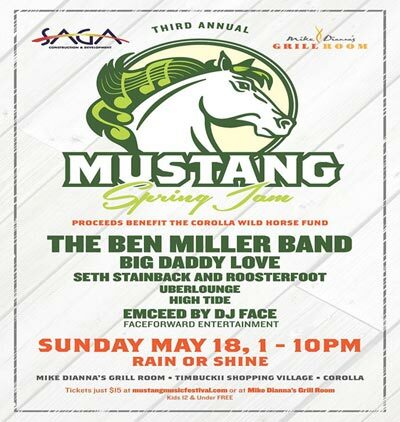 However, not to be missed is the 3rd annual “Mustang Spring Jam,” still held at Mike Dianna’s Grill Room in the TimBuck II Shopping Village on May 18th! Check it out at www.mustangmusicfestival.com. Having a beach home in Corolla is an investment like none other. There is always something to see or do on the northern beaches…in addition to the beach! 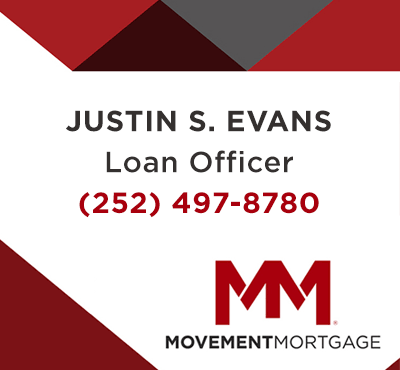 If you are looking for a personal home for recreation and/or rental income, you can rely on a couple of “Outer Bankers” who know their stuff. Heather Sakers and Brad Beacham are realtors with Coldwell Banker Seaside Realty who know the Outer Banks and what it takes to make a wise investment here. They know how to analyze the fit and potential that make the difference between a good and an extraordinary investment. Both are skilled real estate professionals. They understand the importance of properties that fit their clients’ needs and desires. The end result… bring out the best and satisfy! If you are considering the Outer Banks and want to know how to make it the best investment, contact us at (252) 564-8889 or email us. Thanks! From the 4 wheel drive area of Corova to the Cape Hatteras National Seashore you will find everything from wild horses, lifesaving stations, working lighthouses (Currituck Beach Lighthouse, Bodie Island Lighthouse, Cape Hatteras Lighthouse, Ocracoke Lighthouse, and The Roanoke Marshes Lighthouse), Wright Brothers’ Memorial (we were First in Flight! ), Jockeys Ridge sand dunes, our oceanfront piers (Kitty Hawk Pier, Avalon Pier and Nags Head Pier to name a few), Roanoke Island, and the Graveyard of the Atlantic Museum (shipwrecks!) just to name a few of our many attractions. Not to be missed are the Lost Colony, Elizabethan Gardens, and Roanoke Island Festival Park with the replica of the early sailing ship, Elizabeth II, in the quaint Town of Manteo or a drive south to Hatteras Island where you can take a ferry to the island community of Ocracoke. Many who come to the Outer Banks for a vacation are also interested in timing their visits with such events as the Outer Banks Wedding Association’s Expo, “A Taste of the Beach”, The Outer Banks Marathon, Bike Week and the Outer Banks Seafood Festival, to name a few. In-Season (between Memorial Day and Labor Day), the OBX becomes a place where gracious hospitality is the business of the day. From luxurious beach digs to one-of-a-kind shops, from fresh seafood markets to awesome restaurants; there is not a better place for a vacation! Off-season the Outer Banks has the southern charm and character of a small town stretched thin, as villages and towns are closely connected.